Being an architect lends a certain prestige in films; all those tools, blueprints, and models just translate so well. 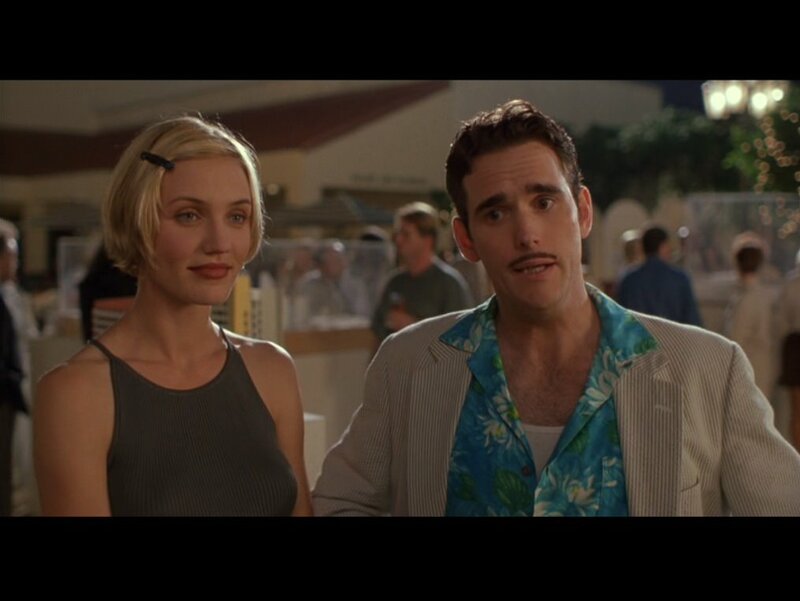 I caught the 90s classic There’s Something About Mary the other day and Matt Dillon as a doubly fake architect remains hilarious. The exchange between Healy (Dillon) and Tucker, another fake-fake architect, at the architecture model exhibition is priceless. Healy: Well, have you been to, uh well, let me see… Santiago, Chile? Healy: Are you familiar with the soccer stadium? Healy: No, just down the street the Celinto Catayente Towers. It’s quite a fine example, in fact. I recommend that next time you’re up that way that you drop in and take a gander at it yourself. Santiago is a place-holder for a far-off destination that’s exotic enough to be interesting, but most people have never been there. Hence, Healy’s Celinto Catayente Towers could be a real thing. This scene also reminded me of a Seinfeld episode where South America’s vagueness is played for comedic effect. Of course this scene exploits the drug-cartel stereotype of Latin America, which is an easy target. What I find amusing is South America as a destination, as if there was an American Airlines flight from NYC that dropped you over the Amazon. No one would dream of generalizing North America, a term that’s only really heard off that continent. Speaking of place-holders, South America in this case could’ve easily been replaced by Africa. Talk about a continent that is rarely perceived as complex as it really is. To end on a more subtle note, here’s clip from Waking the Dead (2000). It’s another film that mentions Chile though from a completely different angle. In this scene the main characters share a meal with Chileans who’ve been spirited away to Chicago following the coup. I highly recommend reading the novel and watching the rest of the film; Billy Crudup and Jennifer Connelly should always play lovers. Scott Spencer sets the novel in Chicago and it’s eerie that Crudup’s character is a law student at the University of Chicago concurrently with the Chicago Boys, young men who studied under Milton Friedman. Basically, in Spencer’s fictional world it’s possible that Fielding Pierce passed a couple of these guys in the Main Quad on his way to dinner with the Chilean radicals. I’ve yet to come across another piece of foreign fiction that references Chile’s political climate in the 1970s. Though I’m not keen on Billy Crudup’s harsh ra-ra-ra patriotism (these people are just seeking political asylum, geesh) it’s refreshing to see Chile portrayed with nuance.